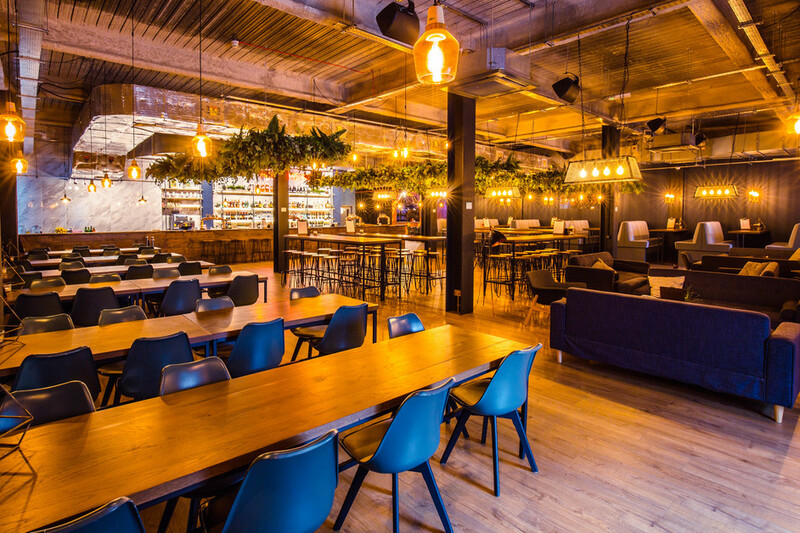 A creative, communal space with room for 450, W12 Studios combines street food with music and a late licence, all in the old home of the BBC in White City Place. Partnering with Feast-it, there are two rotating kitchens. First on the line-up for the opening month of February 2019 is Cue Point, a barbecue specialist founded by previous Head Chef of Pitt Cue, Joshua Moroney, and The Piadina Project, offering thin Italian 'Piadina' flatbreads filled with fried chicken and hash browns, pancetta, Italian soft cheeses and pesto mayo. Next, in March, comes Zoe's Ghana Kitchen, serving West African food. The music programme is centred on emerging artists, live acoustic sessions, resident DJs and curated playlists. So expect soulful sessions, live gigs, club nights, disco brunches and open mic nights. Confirmed acts include Max Rad, Quiet Man, Tommy Gold, Finn Foxell and P-rallel. Added to all that are craft beers, quality wines and cool cocktails plus it stays open until 2am on Friday and Saturday nights. W12 Studios gyms, sporting activities, health & beauty and fitness. The best pubs near London W12 Studios. W12 Studios clubs, bars, cabaret nights, casinos and interesting nightlife. Where to have your meeting, conference, exhibition, private dining or training course near W12 Studios. From cheap budget hotels to luxury 5 star hotels see our deals for W12 Studios hotels, including K West Hotel & Spa London from 91% off.